One of the biggest reasons for encouragement is a bill that many cannabis advocates believe could end up on President Trump’s desk: the STATES (Strengthening the Tenth Amendment Through Entrusting States) Act , which would formally leave marijuana regulation to the states instead of the federal government. 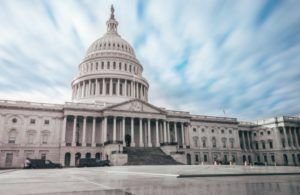 That single piece of legislation – while far short of what many MJ activists want – would be a “quantum leap” forward, in the words of Cannabis Trade Federation CEO Neal Levine. Good news, This is what the States need. It is past time that “PEOPLE” ,wake up for a change and see all the facts and not all the fiction about marajuana and all the good uses from this gift from God.